Trying to get caught up on my 31 day challenge. Day 7: Piercings and Tattoos? It was listed as a question, so here’s my answer. I have no piercings…never want any! I do, however have tattoos. I have two of them, one on each arm. This is my first one (left arm). I got it in 2010. The cross represents my faith. There is a sword in the middle, symbolic of the Word of God. The vine references John 15:5 (“I am the vine; you are the branches. The one who remains in Me and I in him produces much fruit, because you can do nothing without Me.”). 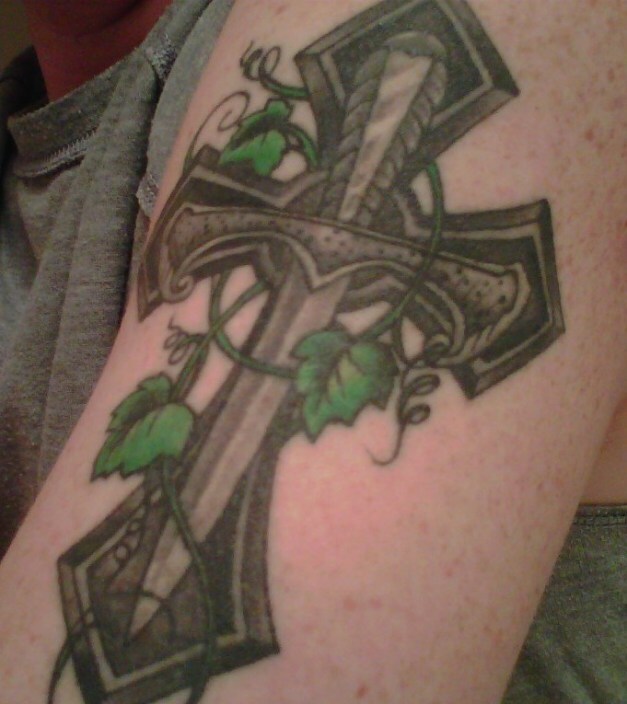 This is the other one (right arm). I got this one in 2013. 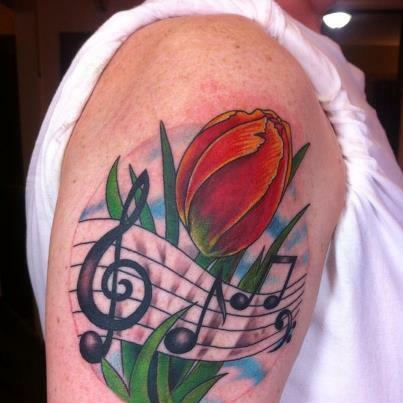 I have a passion for music and wanted to incorporate it into the tattoo. The focal point is a tulip. This was my mother’s favorite flower, so I chose that in honor of her. For now these are my only two tattoos. I’m certain more ink will be added…I’m just not sure when or where yet.